The Northern Saints Football Clun are a part of the Fawkner-North Coburg Sports Club located in Fawkner. We are affiliated with the Essendon District Football League Second Division. 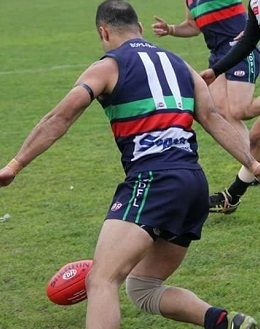 The Northern Saints were formed in October 2007 as a result of a merger between the North Coburg Saints Football Club which played in the EDFL and the Fawkner Park Football Club who played in the Northern Football League. The Fawkner Park Football Club was result of a merger between Fawkner Amateurs and Moomba Park. Our first premiership was in 2013 - Essendon District Football League Division 1.